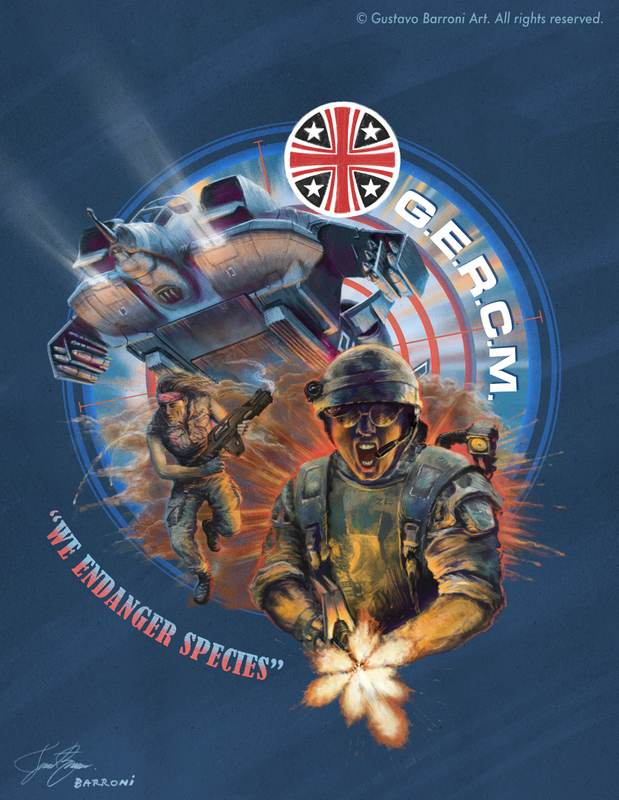 Illustration done for the G.E.R.C.M. 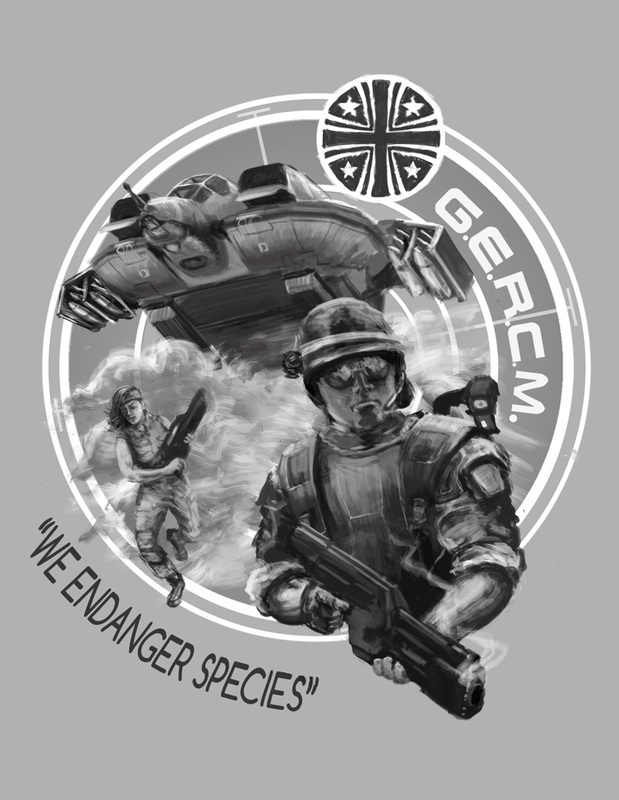 (German Colonial Marines) a group based on the Aliens movie fictional military. The style resemblances the nose art on airplanes from the Vietnam War (as director James Cameron did as well for the ALIENS movie).